On December 18, 2012, an appeals court ruling in the battle for religious liberty opposing imposition of an Obamacare contraception mandate favored the religious colleges opposing the mandate. With the December 14 filing of a suit by Domino’s Farms and Thomas Monaghan, the number of federal lawsuits around the country has grown to 42. 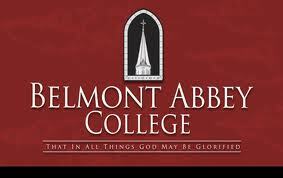 Catholic Belmont Abbey College in North Carolina and evangelical Wheaton College in Illinois had filed lawsuits in federal district court opposing the mandate on November 10, 2011 and July 18, 2012 respectively. Both cases were dismissed on essentially the same grounds: the government was working on new regulations and promised not to enforce the mandate that was in place, so there was no injury to religious liberty. The district court dismissals were based on the legal concept of “standing”. Both Belmont and Wheaton appealed the dismissals to the United States Circuit Court of Appeals in the District of Columbia. The appellate court heard both cases together. In its December 18th opinion the court said the district courts’ dismissal “for lack of standing was erroneous …” The court further noted that the government had made a promise during argument to “never enforce” the contraceptive mandate against Belmont and Wheaton and other similar institutions, and that new rules would be forthcoming for such institutions. The court ordered the government to file with the court status reports every sixty days and indicated the government would be held to its promise of non-enforcement. The ruling was a victory for the challengers of the contraceptive mandate. Implicit in the court’s finding the colleges had standing is the court’s belief that the mandate is an injury to the First Amendment’s protections of religious liberty. On October 31st, Daniel Weingartz, and Weingartz Supply Company were granted a preliminary injunction prohibiting enforcement of the contraceptive mandate as to Weingartz and his privately held company. In accordance with his Roman Catholic faith, Weingartz, designed a health insurance policy for the employees of Weingartz Supply to specifically exclude contraceptive services. The mandate rules for private employers require the inclusion of such services in employee health plans. Weingartz argued to the court that he would be forced to choose between providing health insurance that includes contraception without cost-sharing or incurring a financial penalty, and that such a choice is a substantial burden on the free exercise of religion. US District Court Judge Robert H. Cleland, noting “[t]he loss of First Amendment freedoms, for even minimal periods of time, unquestionably constitutes irreparable injury” granted Weingartz request for an injunction and directed the government to file with the court on the first Monday of each month a report on the status of amending the regulations. A similar injunction was issued by US District Court Judge Reggie B. Walton in favor of Tyndale Publishing on November 16th. Tyndale publishes a wide array of Christian books ranging from Bible commentaries to books about family issues to Christian fiction. The publishing company employs 260 full-time employees, and provides them with health insurance through a self-insured health plan. Tyndale omits from its employee health plan any coverage of abortions and of drugs or devices that can cause the demise of an already conceived/fertilized human embryo. This omission is due to the religious beliefs under which Tyndale operates. 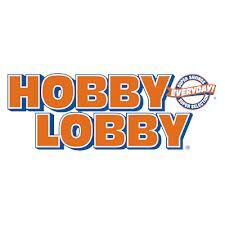 Unlike, Judges Cleland and Walton in the Weingartz and Tyndale cases, US District Court Judge Joe Heaton in Oklahoma found that the contraceptive mandate did not substantially burden the religious freedoms of the Green family of the Christian-owned-and-operated Hobby Lobby Stores, Inc.
Judge Heaton denied the injunction request despite the Green family’s religious beliefs which prohibit them from deliberately providing insurance coverage for prescription drugs or devices inconsistent with their faith, in particular abortion-causing drugs and devices. Hobby Lobby’s insurance policies have long explicitly excluded contraceptive devices that might cause abortions and pregnancy-termination drugs like RU-486. On December 20, 2012, the 10th Circuit Court of Appeals denied an appeal of Judge Heaton’s ruling against the Greens and Hobby Lobby. With that denial, the Greens’ only recourse, represented by the Beckett Fund for Religious Liberty may be the first of the contraceptive mandate cases to reach the United States Supreme Court. On December 14th a Michigan company, Domino Farms Corporation, filed the 42nd lawsuit opposing the contraceptive mandate on religious grounds. 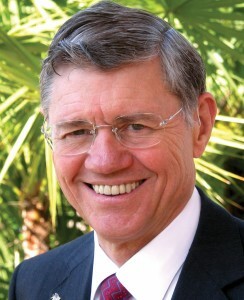 Domino Farms sole owner and shareholder is Thomas Monaghn. Mr. Monaghn was the founder of Domino’s Pizza and owner of the Detroit Tigers from 1983 to 1992. He is a devout Catholic who has devoted his life to the furtherance of Catholic education with the founding of Ave Maria University and Ave Maria School of Law. With that, that battle continues. The requirement of “standing” comes from the Constitution’s Article III grant of power to federal courts in “cases” and “controversies”.